Just a short time lapse video of the Seattle harbor on June 2nd 2008 from my hotel room at the Edgewater hotel in Seattle. The making of a time lapse movie of the Sunset over the Golden Gate bridge in San Francisco. April 12 2008 was a sunny day. 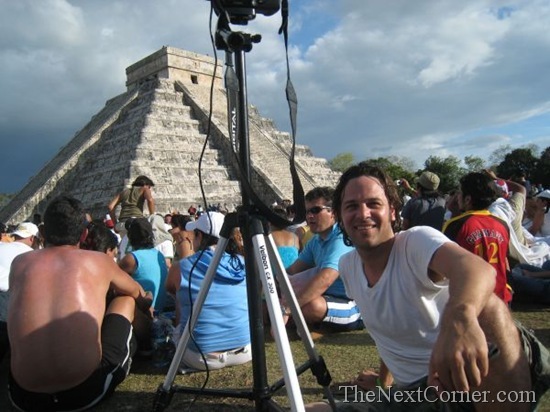 After my first time lapse video, the Equinox in Chichen Itza, I wanted to do more interesting stuff on the web. I always wanted to capture the sun go down over The City of San Francisco, with the Golden Gate Bridge in the forefront. I checked when the sun would set, and made sure I had a good spot with a view over the Golden Gate bridge. I made around 1400 pictures while standing there, enjoying the scenery. It was a beautiful night, with very clear sky. More and more photographers came to take shots of the bridge. At the end I was able to make another great shot of the bridge. Just look at the reflections of the lights of the bridge on the water of the bay. Twice a year, the Chichen Itza Equinox is an astronomical miracle. I made a Time lapse video of the equinox 21 of March in Chichen Itza, Mexico. the Maya’s used the pyramid of Chichen Itza as a calendar. Twice a year, on March 21 and September 21, the sun is making a shadow on the side of the stairs on the North side of the Pyramid in the form of a snake. This was the sign for the Maya’s to start planting the corn. This timelapse video was made with a Canon Rebel XT on a tripod. It consists of 350 photo’s with a timelapse of 5 second between every shot. 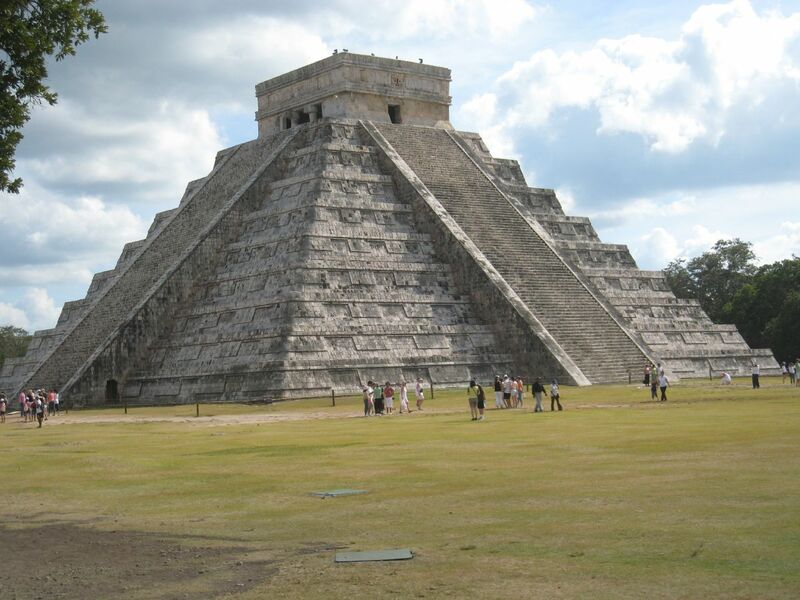 The great pyramid, El Castillo or even better the Temple of Kukulkan, is one of the seven wonders of the world. It has 91 steps to the top on each side (totalling 364 steps plus one for the platform at the top making 365 steps, one for each day of the year). It has 52 panels on each side representing the 52 year cycle of the Maya calendar. Twice a year, On the Spring and Autumn equinox, on the corner of the structure the rising and setting sun casts a shadow in the shape of a serpent – Kukulcan, or Quetzalcoatl – along the west side of the north staircase. The video above is from the Spring Equinox 2008. Since 2002 I’ve been 3 times to Chichen Itza, and every time I’m impressed on the magic this place has. The precision and the craftsmanship the Maya’s have build these buildings is just amazing. I hope I will have the opportunity to come back to Chichen Itza in the future. An equinox occurs twice a year, when the tilt of the Earth’s axis is inclined neither away from nor towards the Sun, the center of the Sun being in the same plane as the Earth’s equator. A solstice is an astronomical event that happens twice each year when the Sun’s apparent position in the sky reaches its northernmost or southernmost extremes. The solstice is the exact reverse point as the equinox.